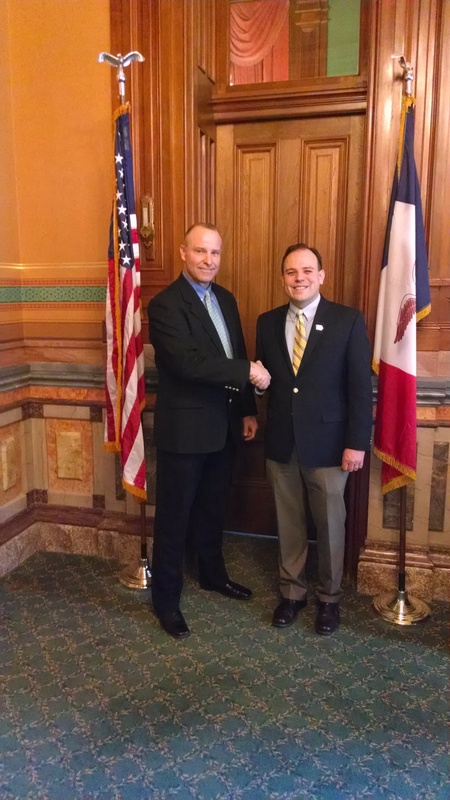 With over 550 signatures in hand, Tim Kraayenbrink officially signed paperwork with Iowa Secretary of State, Matt Schultz, on Monday, March 10, to run as a republican candidate for the Iowa Senate District 5 seat. Tim Kraayenbrink and Iowa Secretary of State. This official submitting of signatures is part of the Kraayenbrink campaign already underway in the District 5 counties of Calhoun, Humboldt, Pocahontas and Webster. As an investment advisor and small business owner, Kraayenbrink is positioned to be a true voice for the District. His passion for people and strong values provides a promising outlook for the future and is a welcome addition to his focus towards responsible spending and less government control to generate opportunities. “It would be an honor to represent the people of Iowa Senate District 5. We share a common belief in strong values, hard work and securing a productive future for our families,” Kraayenbrink shared following his signing of official candidacy on Monday.